Once installed, fuel cell power systems remain in the truck — no lead acid battery changing, no sulfur or hydrogen off-gassing, and zero emissions — all supporting a healthier workplace and environmental footprint. What are your workplace concerns? Fuel cells and hydrogen provide a clean and user-friendly electric power alternative to avoid these concerns. And, what are your costs for managing them? Consideration of these costs (as detailed by OSHA), supports an investment calculation for fuel cell power. What about fuel cell safety? Use this link for details on product safety measures related to the Nuvera® Fuel Cell System. 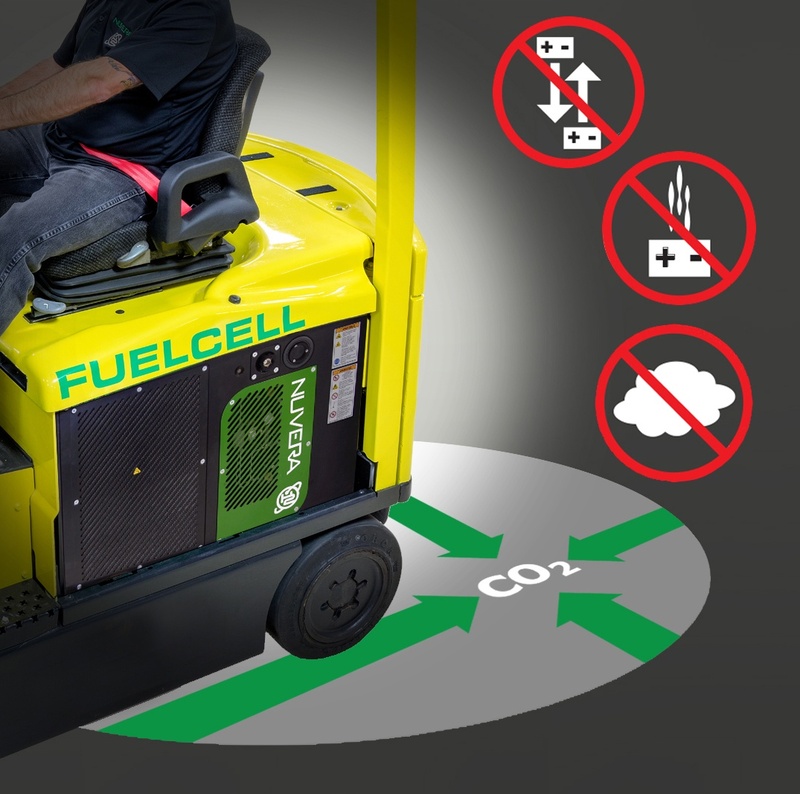 The Department of Energy has validated hundreds of thousands of fuel cell electric vehicle (FCEV) trips and tens of thousands of hydrogen fuelings for forklifts, cars, buses and more. International codes and standards, extensive crash testing, and redundant safety measures support safety, not just for your fleet, but also our daily commutes. Understanding hydrogen basics and safety measures for commonplace automotive use, is a great place to start correcting old misconceptions about hydrogen fuel cell safety, efficiency, and use (see Debunking FCEV and Hydrogen Energy Myths presented online by the Fuel Cell and Hydrogen Energy Association).